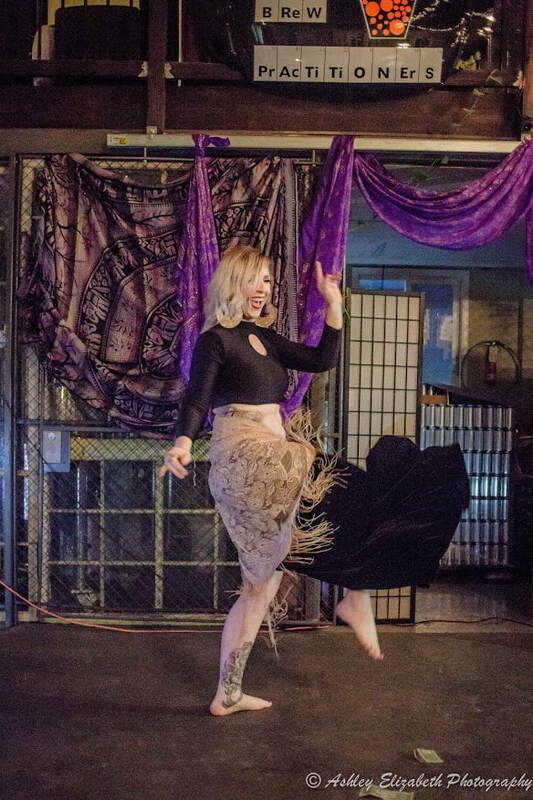 You can find Aralia all over Western Massachusetts at a variety of traditional bellydance venues and some that you would never expect! When Aralia hosts bellydance workshops she also lists them here. If you would like Aralia at one of your events simply contact her today! *Classes still have space - enroll today or contact Aralia with questions! The Goddess Lounge is a night of belly dancing from the women of the Pioneer Valley. It has an eclectic blend of belly dancing styles and themes. This show is FREE but tips are encouraged. Bellies & Brew is back once again! Aralia and her partner Avienn are so PSYCHED to be able to bring belly dance back to Brew Practitioners - one of our all time favorite venues. Save the date and stay tuned for details! This is an Eidetic Bellydance production.